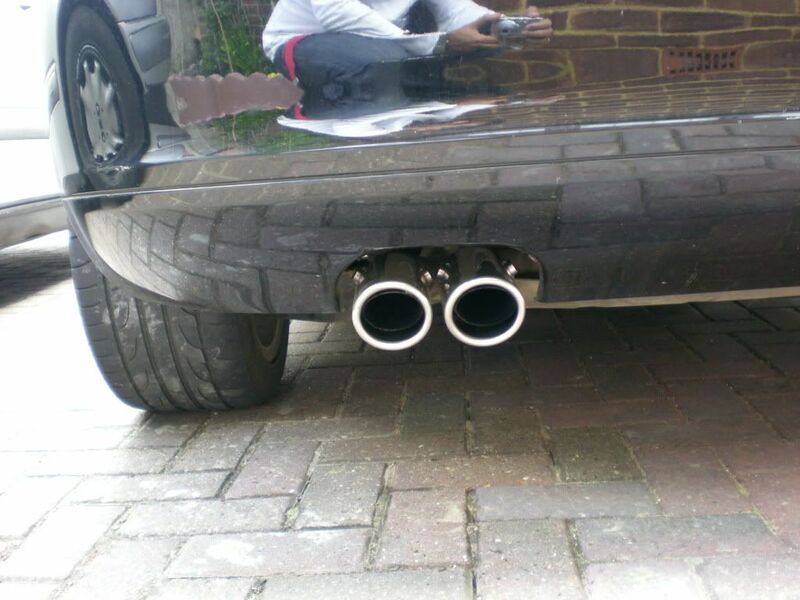 I wanted to tidy up the rear end of the car by fitting a spoiler and some straight chrome tailpipes. 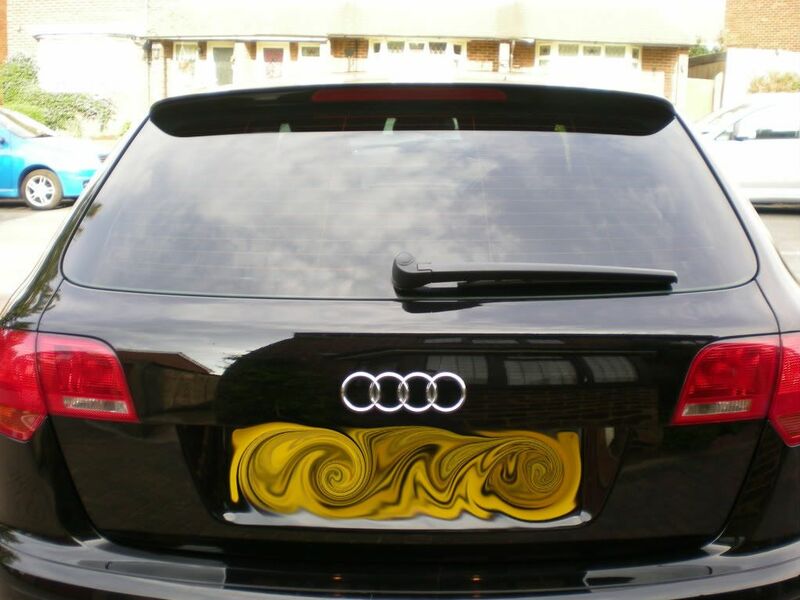 It was true, the car did look too much like an old man's estate and I wanted to give it a sporty look! 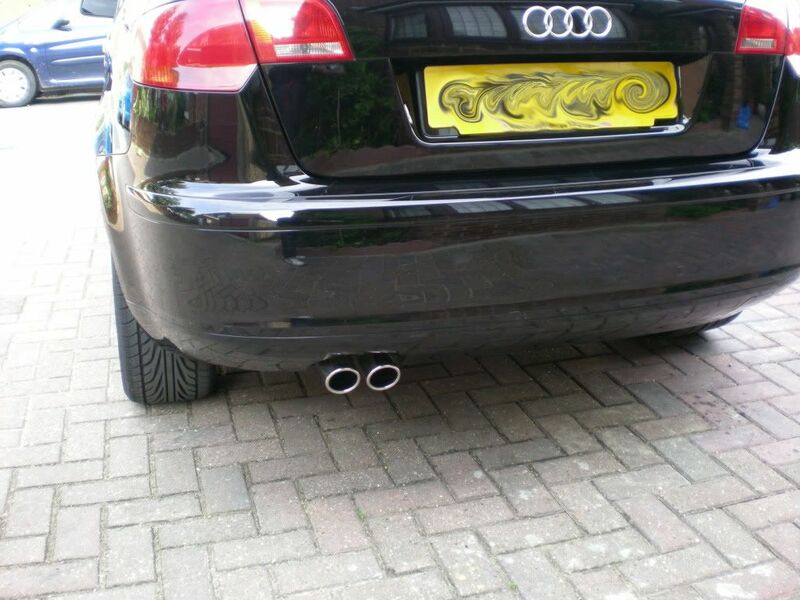 The Exhaust tips on the back of my 2.0TDI were droopy and I hated it! 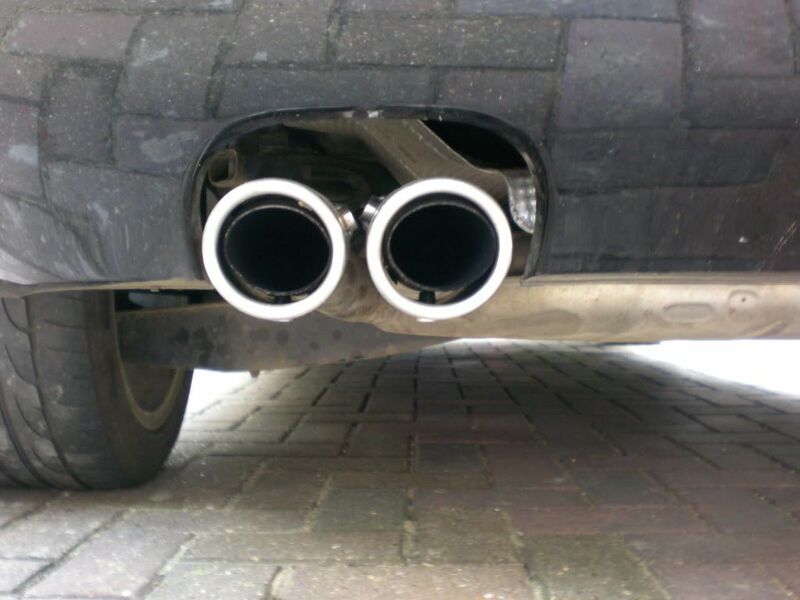 Apparently its something to do with the way that diesel engines let out lots of smoke so they design the tailpipe to point downwards so that it doesn't blow out loads of black smoke into the car behind me. 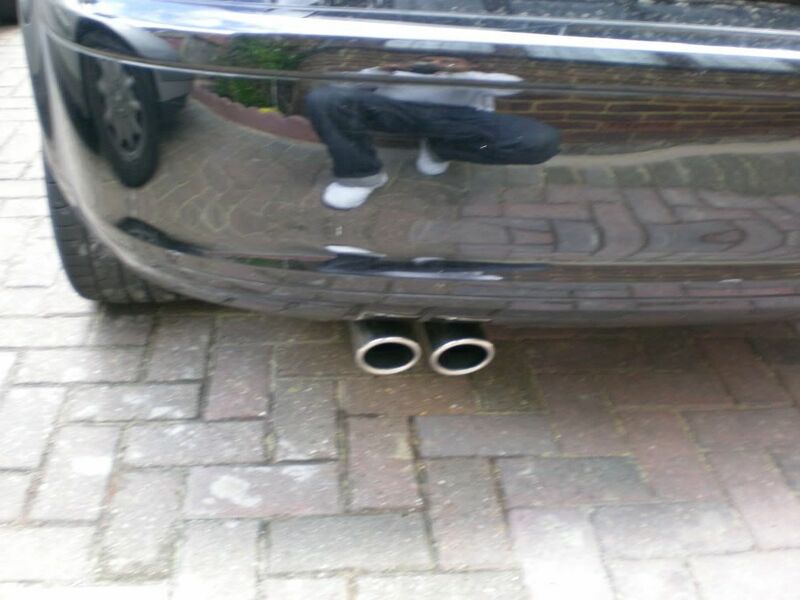 I have seen plenty of other 2.0TDIs that had the straight pipe fitted as standard just because they were the more expensive S-Line models so I went off finding out what I needed to do to get the chrome ends on the back of my car. 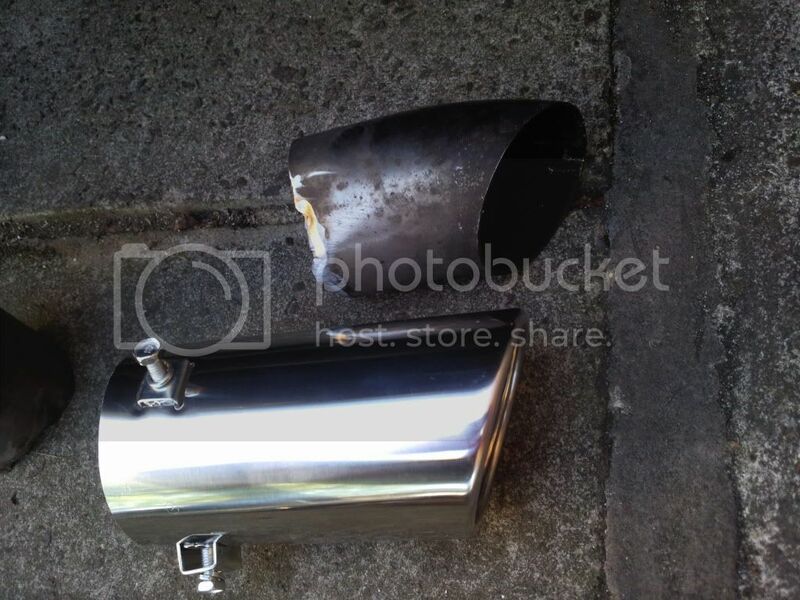 Well it turned out that the droopy part was a a piece of metal that was fitted onto the actual exhaust pipe and could be cut off. I found some nice original Audi chrome tips on eBay (they sell it separately for guys like me that want to fit it on) and got down to my body shop to get the droopy tips cut off and replaced. 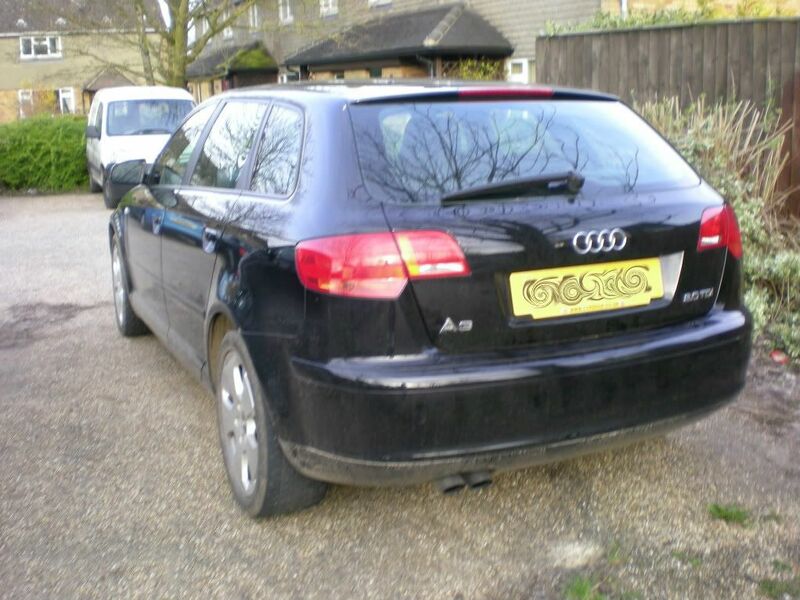 I was lucky to find someone on eBay that was selling a S3 spoiler that had come off another black Sportback so it would fit straight onto mine! I snapped it up straight away and was delighted to see it was the exact right paint shade of mine so I did not need to get it sprayed. The only thing that I thought looked a bit off was that the new spoiler had 3 fixing lugs and bolts sticking out the underneath of it but my car didn't have anything like it to fix it into. 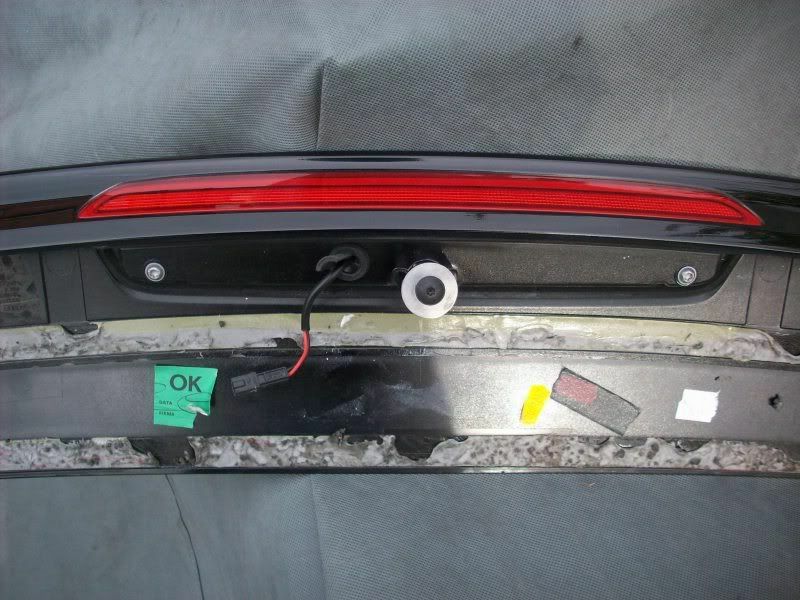 I had a look where the 3rd brake light was fitted on my car and after removing it I could see that there was a hole where the middle bolt from the spoiler would fit into. Since there was no holes for the 2 outer lugs to fit into I just snapped those outer lugs off the spoiler and ground it down flush. 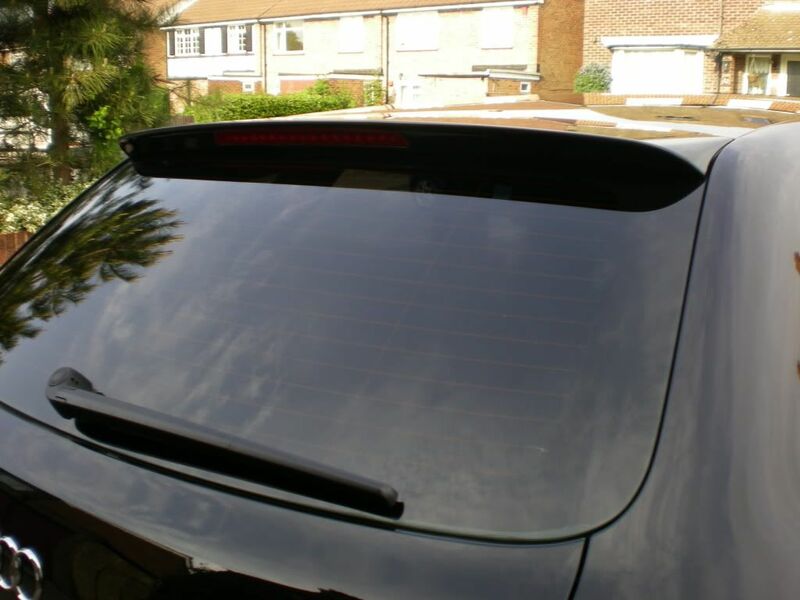 I then test fitted the spoiler which sat nicely in place of the original 3rd brake light, so I got to work prepping the spoiler and getting the bonding glue in the right place so that the spoiler would sit properly on the car and not come flying off as I was driving down the motorway. 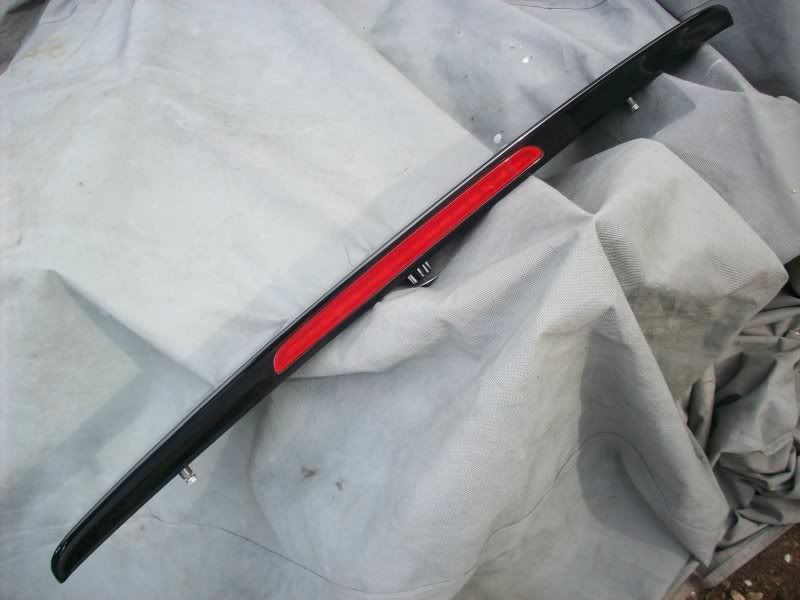 I bonded the spoiler to the car and secured the middle bolt down tightly which helped make sure that there was no gaps between the spoiler and the car body. 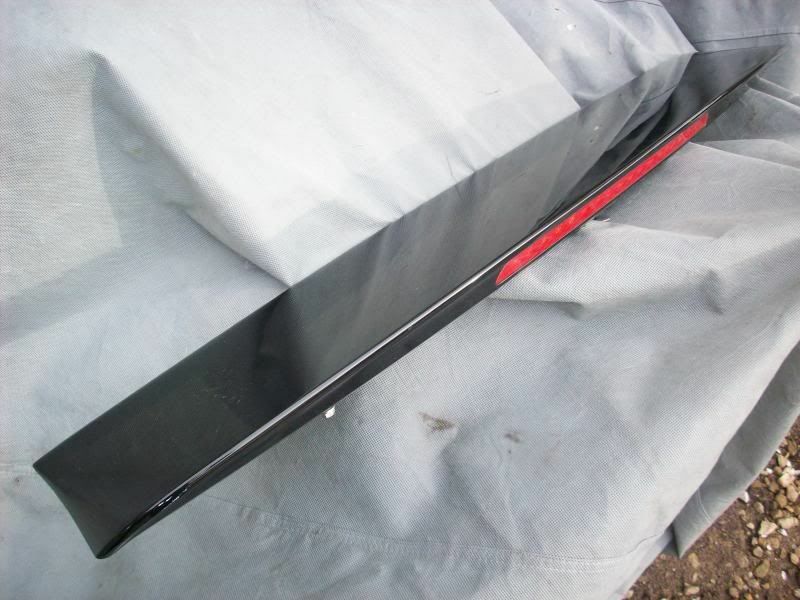 I then taped the ends of the spoiler down to the car so that there was no chance of the spoiler moving whilst the bonding glue set and left it over night. 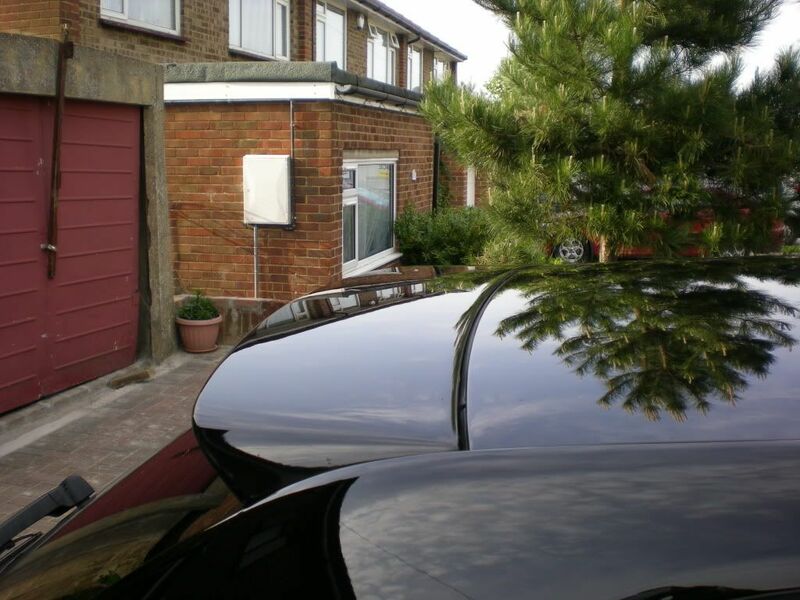 The next day I was pleased to see that the car looked like it came out of the factory with the spoiler fitted.